CHURCH ISN'T AN EVENT. IT'S A COMMUNITY. We are a gathering of people who recognize our need for Jesus, and one another. We are real people, just like you. We come from many different nations, diverse backgrounds, both sides of the tracks, and both sides of the aisle. We are not perfect, we haven't arrived, but we believe Jesus is the answer for all of life's questions. We come together to let the life of Jesus flow in us and through us. We are better together and we invite you to join us. Loren and Linda Hicks are the Lead Pastors of Faith Tabernacle Church. Serving our church family since 2005, they lead with vision, love, humor, and passion. Under their leadership, we have seen our church family grow to include people from 30+ nations of the world. Loren and Linda have been married since 1993 and have three daughters, Ashley, Emily, and Taylor. They live in Los Angeles with their dog, Milo. The Sunday service offers nursery, kid's ministry, live worship band, a casual atmosphere, and lots of hot coffee. The Monday evening gathering is a one-hour prayer meeting. Everyone is welcome. 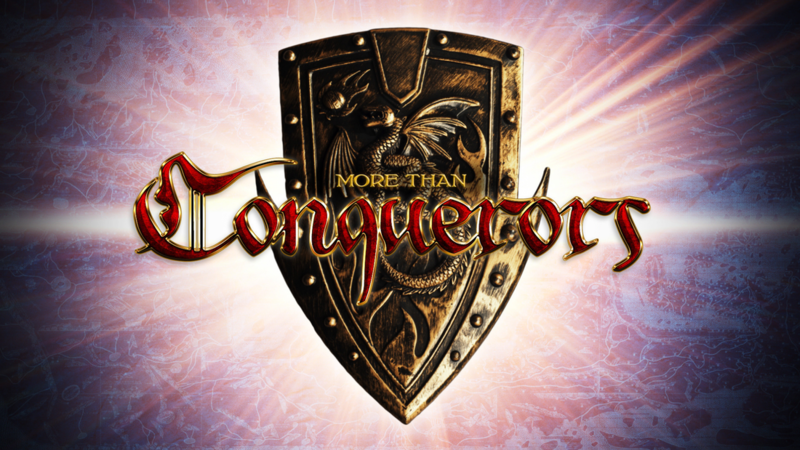 More than Conquerors is a message series that walks through Romans chapter 8. One of the classic chapters in the Bible, Romans chapter 8 describes the work of the Holy Spirit in our lives after salvation.